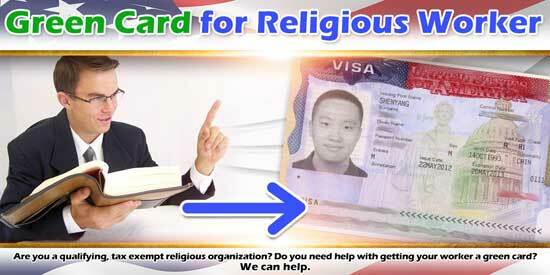 Do you need help with a green card for religious worker? If you are a qualifying tax-exempt religious organization or a religious worker or minister with such an organization, we can help you understand how to get a green card for religious worker. This article is part of our guide to immigration options available for religious organizations and their workers. It is also part of our guide to green cards. If you would like more information, please continue to read. If you know that you need help now. Ministers and religious workers may immigrate to or adjust status in the United States to perform full-time religious work. However, their employers must pay them. The USCIS classifies the immigrant visas issued to religious workers or ministers under the fourth preference employment-based category, EB-4. The Department of State (DOS) provides unlimited visas for ministers. But, DOS limits green cards for a religious worker to 5000 visas issued. Further, DOS allocates these 5000 visas per country. Some countries, typically India, Mexico, El Salvador, Guatemala, and Honduras often reach the cap before the end of the federal fiscal year. You can check EB-4 visa availability through the Visa Bulletin. The special immigrant visa program and Process To Get A Green Card for religious workers is both permanent and temporary at the same time. The law enabling visas for ministers has no end date. But the law authorizing special immigrant visas for religious workers has a sunset. Congress typically reauthorizes the program two years at a time. At the time of writing, the program is due to expire April 28, 2017. However, every time it has expired, Congress has renewed the program. To apply for a religious special immigrant visa, the petitioner must satisfy requirements regarding the religious organization. Also, it must satisfy requirements for the religious worker. In theory, the religious worker can self-petition. In practice, it is better to set up the Us Green Card Process application with the employer, the religious organization, petitioning for the religious worker. The key to thinking about filing for a green card for a religious worker is that you are moving the religious worker from temporary employment to full-time employment, and a green card. First, the petitioner, the religious organization should show that the religious worker has been has been a member of its religious denomination in the United States for at least two years immediately before the filing of the petition for the green card for the religious worker. Next, the religious organization must show that it is offering a full-time compensated position as a minister or as a religious worker in a professional a professional capacity. USCIS requires the religious organization to show that it is a bona fide nonprofit organization in the United States. Alternatively, the organization can show that it is a bona fide organization affiliated with a religious denomination in the United States. The organization can easily show either of these requirements if the religious worker has already worked for the organization probably pursuant to an R-1 religious worker visa. Lastly, the worker must show that he or she has worked in one of the positions described above. That is, as a minister or a religious worker either in the United States or elsewhere, continuously for at least two years immediately prior to filing petition with the USCIS. The USCIS does not require that the work be identical, but it must be of the same quality or type. For the organization, the most important document is showing the tax-exempt status, the 501(c)(3) letter from the IRS. 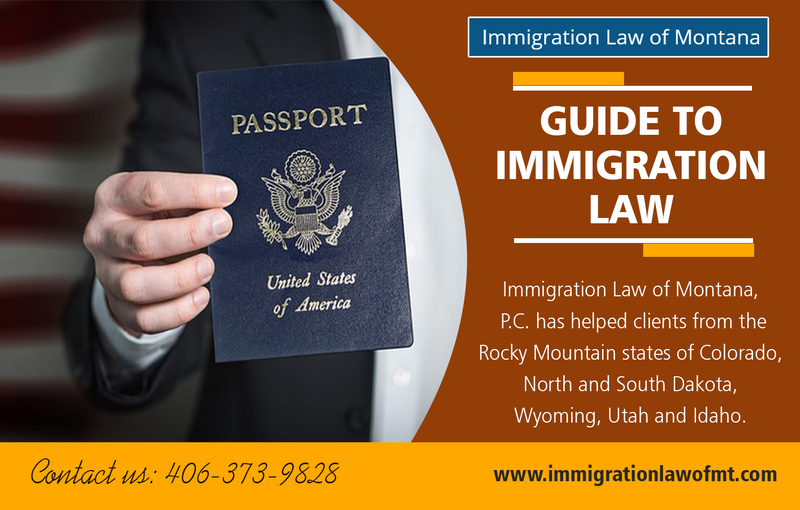 If the organization is affiliated with the religious denomination, it is a little bit more difficult to make the necessary showing to the USCIS. In addition to providing the IRS determination letter, the organization needs to provide Green Card Process Steps which are easy and documentation that establishes the religious nature and purpose of the organization. Literature about the organization is always helpful. Lastly, the organization must provide verifiable proof of how it intends to compensate the beneficiary of the petition. The USCIS is flexible on this evidentiary requirement, after position is for and offers many options such as past evidence of compensation for similar positions; budgets showing monies set aside for salaries etc. ; and IRS documentation such as IRS form W-2 or certified tax returns. The USCIS tasks the worker with providing proof of membership in the religious denomination when looking for Green Card Process. If the religious work is ordained, that will suffice. If the position is for a religious worker, the worker must show that they have met all the requirements for the religious occupation with the religious organization. Next, the religious worker must show that he or she receives compensation. If the employment was in the United States then this is best shown through form W-2 or certified copies of income tax returns. The USCIS does allow workers to show nonsalaried compensation. The best evidence of this is receipt of IRS form 1099. A special immigrant green Card for religious worker petition for the principal beneficiary also assists that beneficiary’s family. Any member of the family that qualifies as a derivative, a spouse or child under the age of 21, may adjust status or apply for an immigrant visa. We understand all the requirements of the I-360 special immigrant visa petition for religious workers. We have successfully filed petitions for religious organizations for their workers. If you need help with a green card for the religious worker, please contact us.